100% Compensation with NO DEDUCTIONS from your Compensation Award, PLUS 1% EXTRA! 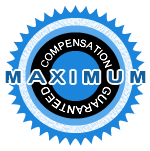 Getting more than the maximum compensation than what you expect cannot be wrong. You get the BEST deal of an injury compensation claim with experienced, professional and expert solicitors. This may seem like a new phenomenon, but we have actually started this online from the beginning! Now our pact may be a new thing to you and you may be thinking of reasons why you should try 101% Compensation. After all, it appears to be just another accident solicitors firm for personal injuries. If you have not used 101% Compensation, how do you know it is different? We all hear a lot about compensation claims being 100% compensation and tend to believe what we hear. Well, shake off your expectations because we are UNIQUE and give a true 100% compensation with NO DEDUCTIONS from the awarded amount. You even get that 1% EXTRA as well! Now what is this catch about NO DEDUCTIONS? Well, as some of you may be aware there have been changes in the way personal injury compensation is awarded. Legally, solicitors can deduct up to 25% from the compensation awarded for a personal injury claim. That is like £2,500 from a £10,000 amount awarded for compensation. Quite a hefty amount of money! Previously, the solicitors’ 'success' fees were recoverable from the third party. This is no longer possible and solicitors are able to charge their clients for their fees if they win their personal injury claim. See for yourself on the Ministry Of Justice website for your own peace of mind. We like to be open and honest which is why we provide the proof to back what we say. Nobody really expects to have an accident or accidents where they are able to try out different solicitors. Let you be informed that it is quite expected that all the solicitors have certain professional standards to achieve which is aligned to their association with the governing law body that regulates their activities. So you will appreciate that the motivational factor of service is inferior to what is offered in return to which will get you as a victim, the BEST deal. So the important question is… a professional claims service that you expect anyway OR full 100% Injury Compensation with NO DEDUCTIONS and an EXTRA 1%? You are likely to go ahead to claim compensation anyway. So, why not use experienced personal injury solicitors, and add an extra one percent to your compensation amount. Yes, it is for amounts up to £5000, which is still more than 100% compensation. You keep that 100% aside and what you have left is just that, an extra sum. Is that not really worth it? Or look at it from another perspective, are you worth it? Having chosen the BEST deal of 101% Compensation you have made the right choice! AND no extra 1% compensation. You are guaranteed to benefit from our leading specialist personal injury solicitors to provide a paramount professional service in pursuing your injury compensation claim. You will get 100% compensation with no deductions from the awarded amount. Your extra 1% of the awarded amount of up to £5k will be added to your Compensation Award. You will receive clear advice and regular updates of your claim. Your non-fault accident will be assessed for potential entitlement and you will be informed of the likelihood of success and the impact of certain actions you decide upon.